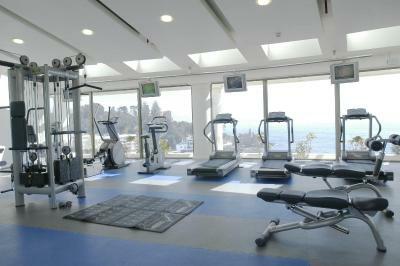 Lock in a great price for Enjoy Viña Del Mar - Hotel Del Mar – rated 8.9 by recent guests! 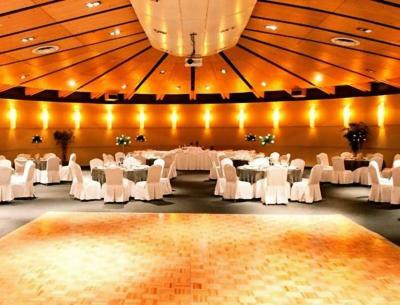 The spacious waterfront room and friendly, helpful hotel staff. The breakfast buffet was fantastic. The staff went above and beyond for us. One of our group was injured on the trip and the staff did all that they could to help us. Would highly recommend. The hotel is beautiful, and the views from it even better. Our bed was very comfortable and I slept soundly. 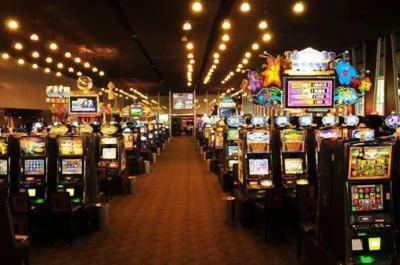 We had a nice breakfast and had a fun time at the casino in the evening. The location was grand but you could not swim as there were red flags up all the time and the sea was dead alm. the room was big and comfortable the bathroom was great it was all very clean very comfortable and provided a relaxed and pleasant stay. 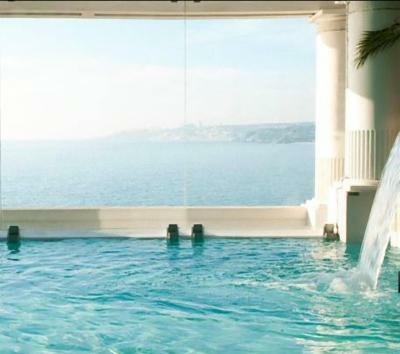 The most amazing suite with direct views of the Ocean. Great staff. Nice breakfast. 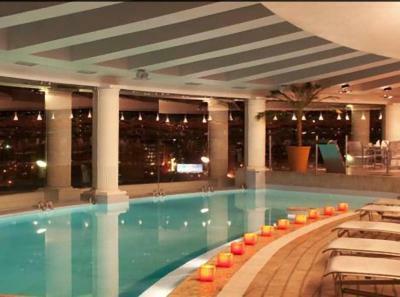 Swimming pool and gym good too. The hotel is in a beautiful spot, and offers magnificent views of the Pacific. The pool is small, but delightful. The hotel's problem is it staff, which is determined to say "no" to guest requests. Want dry cleaning? They tell you to track down a housekeeper. Want to send post cards? You are told to use the post office. Want luggage help? That will provided, with a scowl. Wake-up call? Nope. 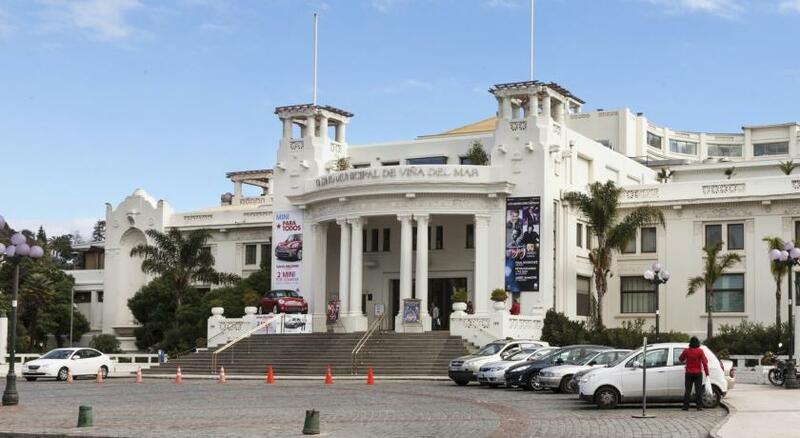 Enjoy Viña Del Mar - Hotel Del Mar This rating is a reflection of how the property compares to the industry standard when it comes to price, facilities and services available. It's based on a self-evaluation by the property. Use this rating to help choose your stay! 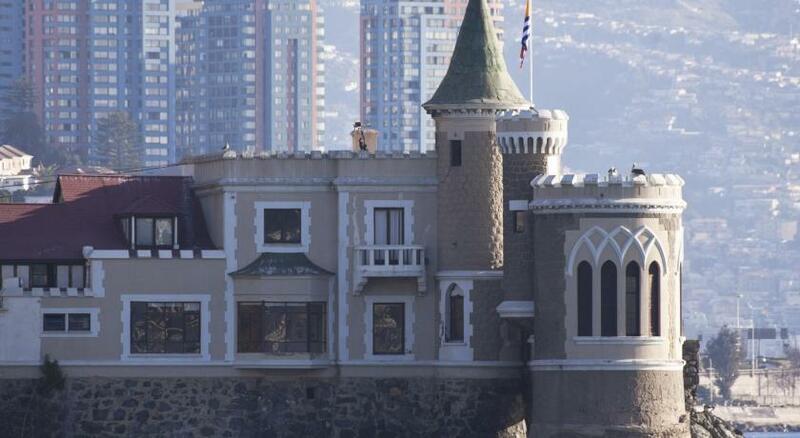 One of our top picks in Viña del Mar.The 5-star Enjoy Viña Del Mar is a striking coliseum-style hotel in Valparaíso, 650 feet from the beach. 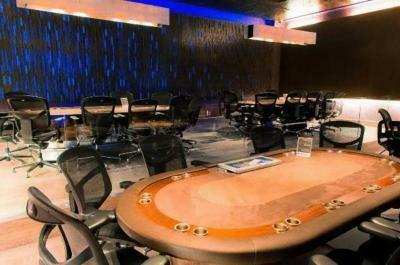 Facilities include a rooftop wellness spa, luxurious accommodations, and a large casino. 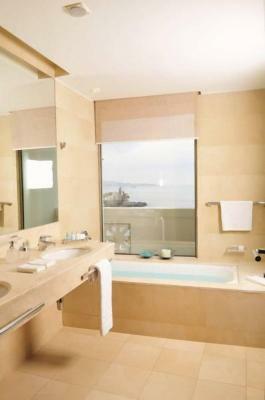 Rooms at the Enjoy Viña Del Mar are spacious with elegant wood décor and lush carpeting. 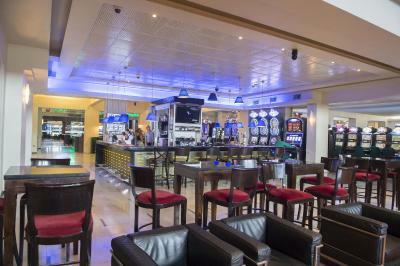 All are equipped with a flat-screen TV with cable channels and free WiFi access. Guests at Hotel Del Mar can enjoy a relaxing massage for a fee at the spa, or make free use of the 2 heated pools, a sauna and gym. 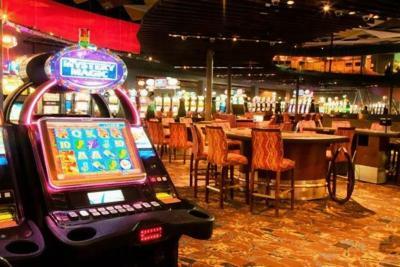 The hotel features casino equipped with the latest technology, featuring 1.200 slot machines, more than 200 bingo seats and 48 game tables. 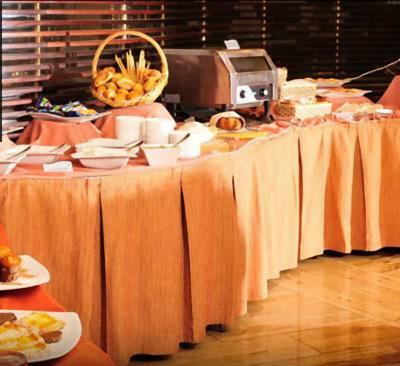 Guests can select from 6 restaurants, La Barquera with Italian specialties and where the daily buffet breakfast is served, Cenit, with a lunch buffet and à la carte dinner, Santa Brasa with an excellent choice of meats, Hanami serving Japanese specialties and Amura Cafeteria, which serves an array of sweets. 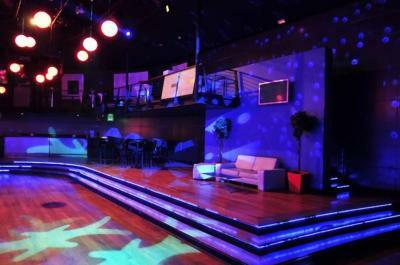 On the weekends guests may enjoy of the on-site Ovo Discotheque. In addition, free on-site parking is available. Several restaurants can be found in the immediate surroundings, and guests can bathe in Acapulco Beach, located a 10-minute walk away. Arturo Merino Benitez Airport is a 1.5 hour drive away. 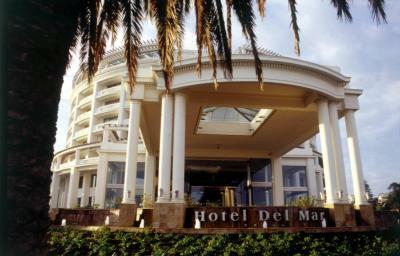 When would you like to stay at Enjoy Viña Del Mar - Hotel Del Mar? The room is styled with chic décor and features a flat-screen TV, a mini-bar and 24-hour room service. 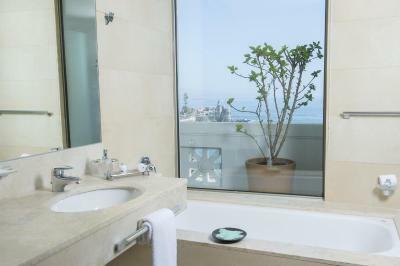 A deluxe room with splendid sea views, a flat-screen TV and a separate seating area. 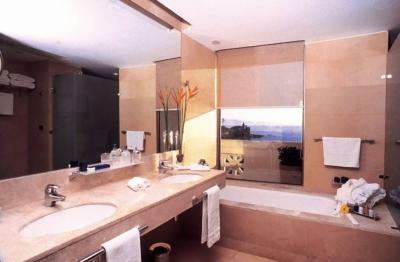 The room includes a courtesy bottle of champagne and mineral water and offers 24-hour room service. 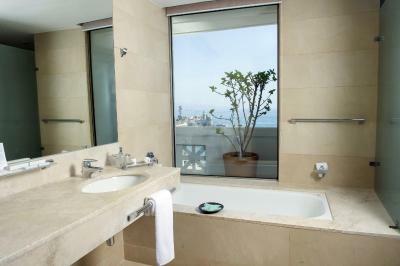 House Rules Enjoy Viña Del Mar - Hotel Del Mar takes special requests – add in the next step! One older child or adult is charged USD 82 per person per night in an extra bed. 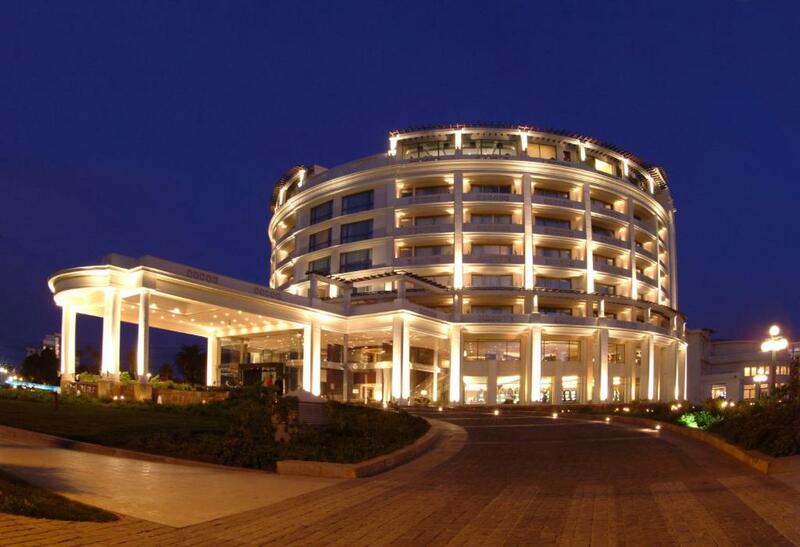 Enjoy Viña Del Mar - Hotel Del Mar accepts these cards and reserves the right to temporarily hold an amount prior to arrival. Please note some of the rates published (including all nonrefundable rates) may not be discounted further and are not cumulative with Enjoy Club discounts, external promotions or other discounts. The swimming pool was disappointing and you could not swim at the beach as there were red flags up all the time and the sea was dead calm. There was no Champagne or chocs on arrival as indicated when booking. also a number of requests were not acted on at all. old fashion.. there’s not even usb so I can charge my phone. Hard to find someone that speak English And took very long time to get any kind of room service. No bar . No outside place to sit in the sun except small terrace. Limited restaurant facilities - a bit canteen like. The steakhouse restaurant where the food was mediocre and the service nonexistent.